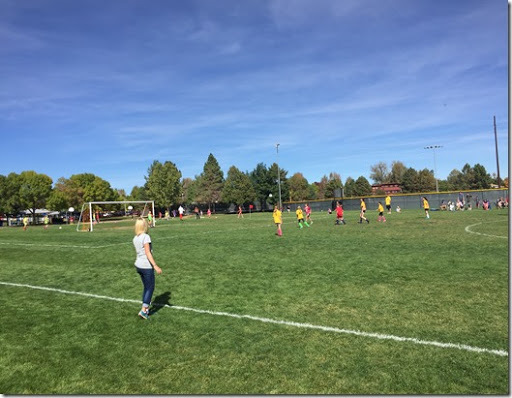 Soccer season just ended, and what a season it was! The Golden Dragons stayed on top, dropping just one game, to end the season at 7-1. These girls are gooooood and it is so fun to watch their magic. The great thing about our team is that we’ve now played together for 5 seasons and we know each others strengths and weaknesses, and we trust each other. I also love that there is not one dominating player on the field. We have a ton of depth, with over 1/2 the team scoring goals this season. 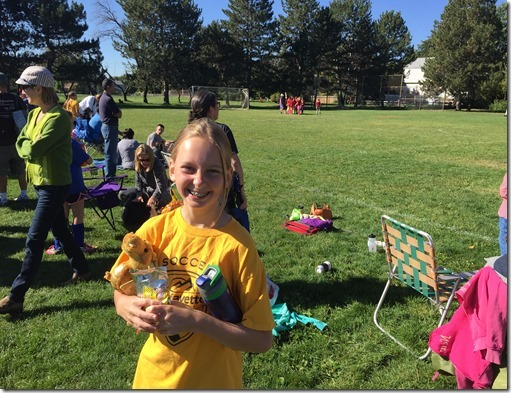 Some of my favorite moments included: Watching Halle score her first goal. It was amazing and I was so proud. She has always played defender positions and at the beginning of the season I told her I was going to make a mid fielder out of her. She didn’t believe me, but she was born for midfield. After she scored the goal I think she finally believed me. 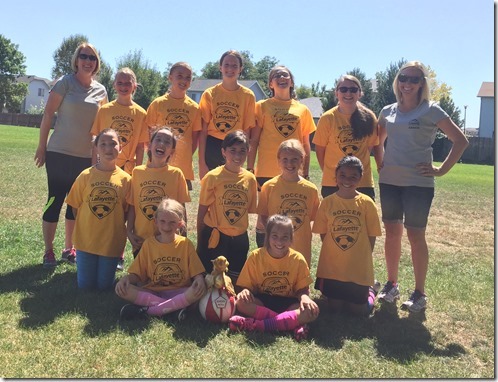 I love how much the girls love our Mascot, George the Golden Dragon. He was in all their individual pictures on picture day. So sweet. And everyone has to give George a good luck rub before the game. In our last game we were up 3-0. Jenna, our goalie wanted to come play on the field, which I don’t usually let her do because she is so darn good in the goal. But since we were winning by such a wide margin I let her come play forward. And she scored a goal on her first run down the field. AWESOME. The Golden Dragons have one more season before many of the girls age out of the program. We are all already looking forward to continuing the dynasty in the spring.